The owners of this large Victorian twin in West Philadelphia have four active young children, and an existing walk-out basement. 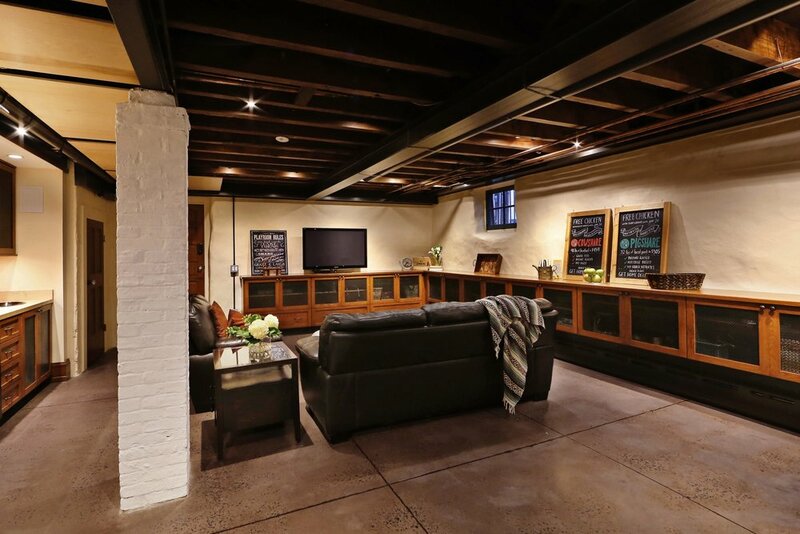 They wanted to create a large indoor playroom that could double for family movie night and the occasional neighborhood poker game. 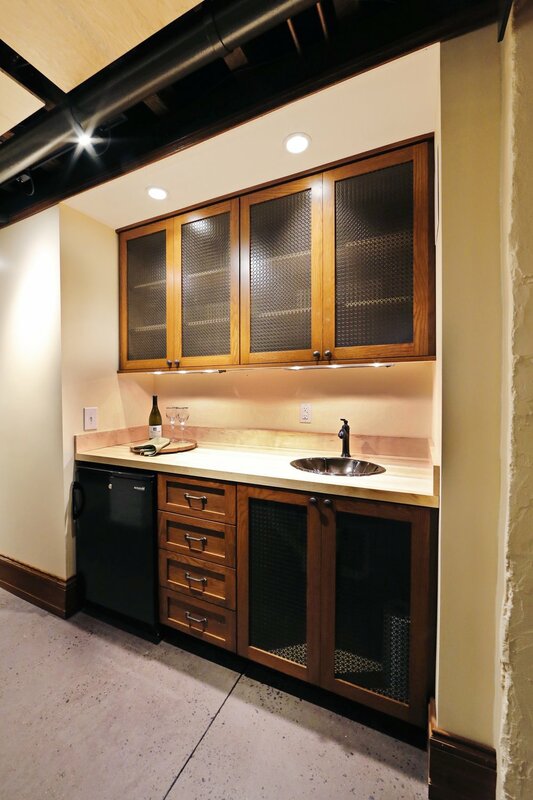 Providing extra refrigerator, freezer, and pantry space was also part of the project. 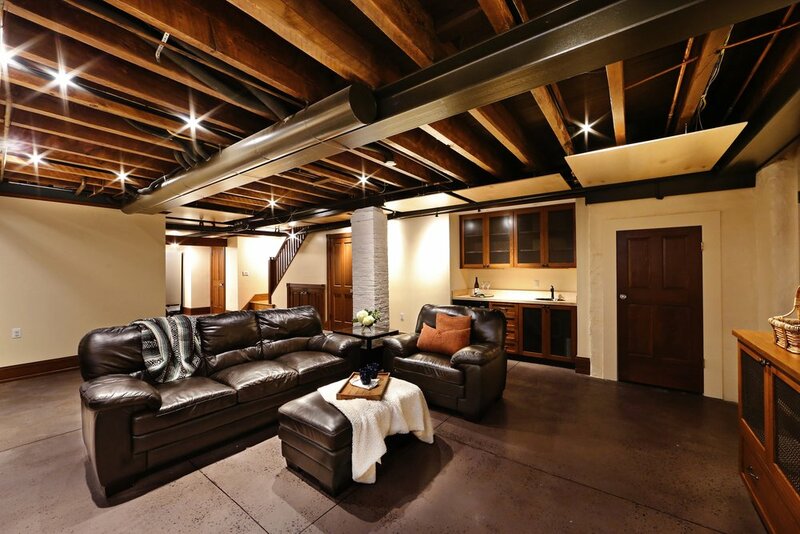 Brick piers in the basement area were removed, and a new steel beam was threaded in to create a large open area; the new concrete floor was polished and custom cabinetry was built in to make this an attractive and functional space.